This is Part 5 of our Maui Food Adventures! Check out the rest! After another long beach day, we decided to try out another revered food truck nearby – Kinaole Grill Food Truck. Kinaole Grill Food Truck is always located at the same spot (here). They’re not really a cheap option as each platter will run you $14.50USD. However the portions of the platters are decent and the food is very tasty. Any time I go on vacation I always end up stuffing myself and getting more food than I can actually eat, due the FOMO I have with food…always scared that I won’t have a chance to taste it if I don’t get it now. No difference here! Even though I picked the Mahi-Mahi platter I couldn’t resist getting the Crispy Calamari ($10USD by itself) as an appie to share. Again wasn’t cheap but we’re sure glad I got it! The calamari was served as thick steak strips and were meaty and moist, and the crust light and crispy. Simply delicious!! AngryRussian got the Coconut Shrimp Plate and it came with a rice pilaf and organic salad topped with mac nut and feta and a light dressing (all plates came with this). 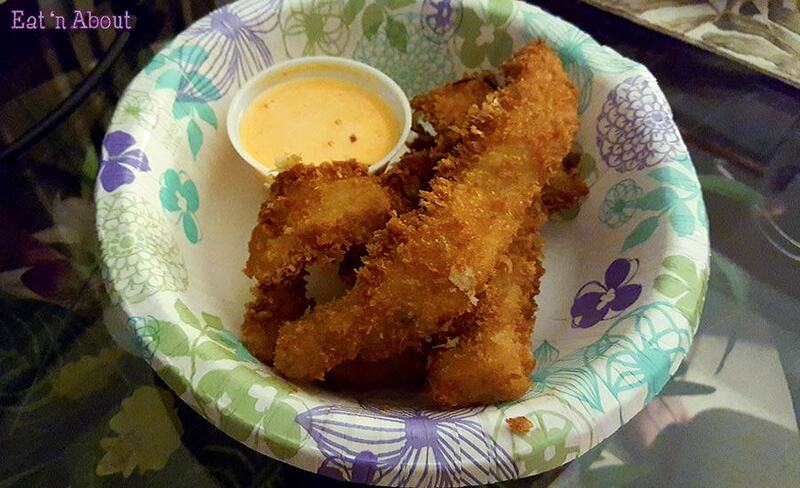 The coconut shrimp was crispy and slightly sweet and salty. The shrimps themselves were large and bouncy and juicy, but I thought for $14.50USD plus tax they could give us more than 5 shrimp 樂. Nonetheless the shrimp was delicious and made us wish there was more. 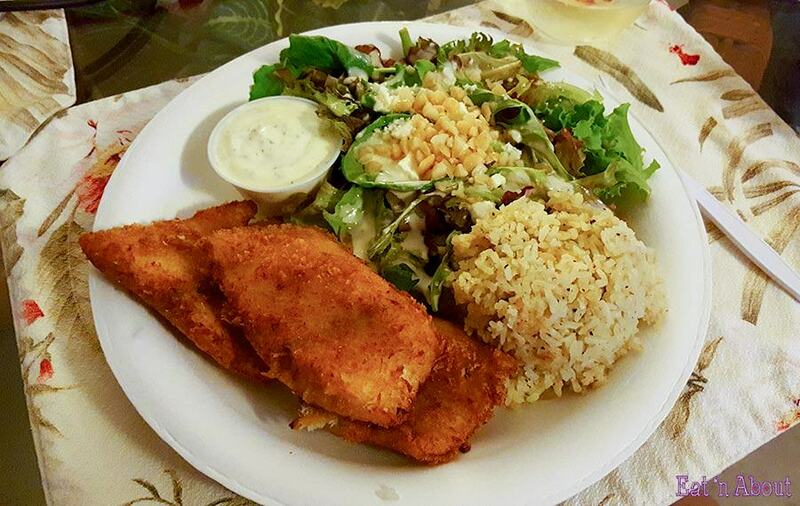 I got the Mahi-Mahi Plate and I got two large pieces of moist, juicy fish. 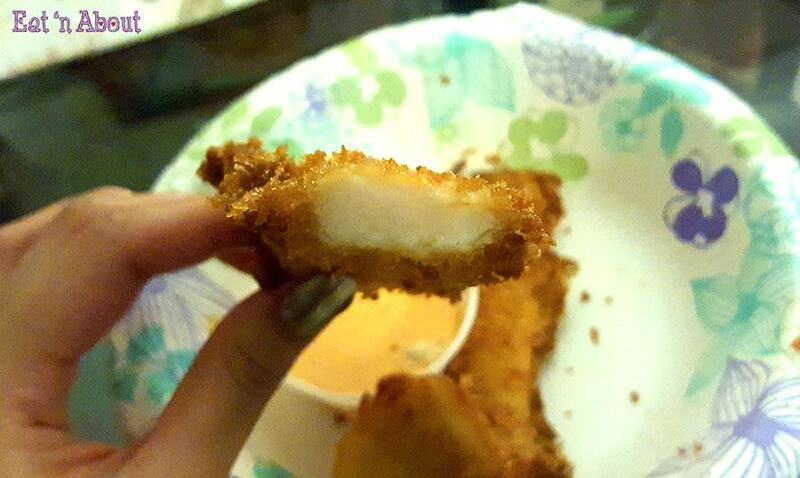 They were lightly battered and perfectly seasoned. The rice pilaf was delicious also and I think the rice might’ve been cooked in broth. 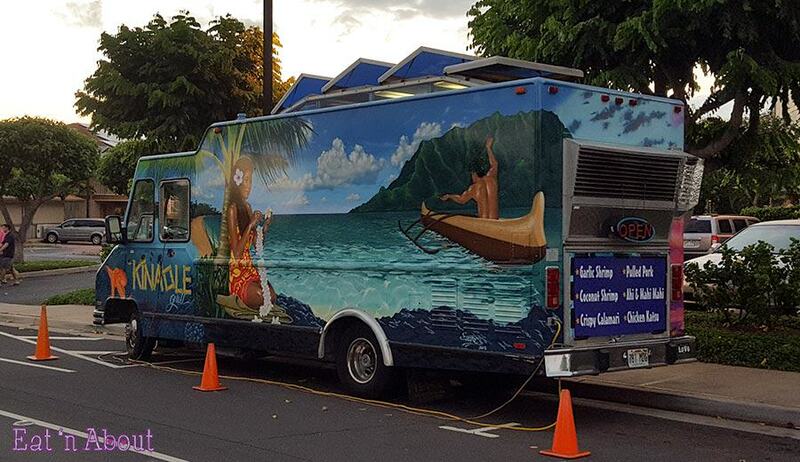 I think Kinaole Grill Food Truck will become a staple in our future trips to Maui. Love, love, love Kinaole Grill Food Truck. It’s better than a lot of sit down restaurant food places. 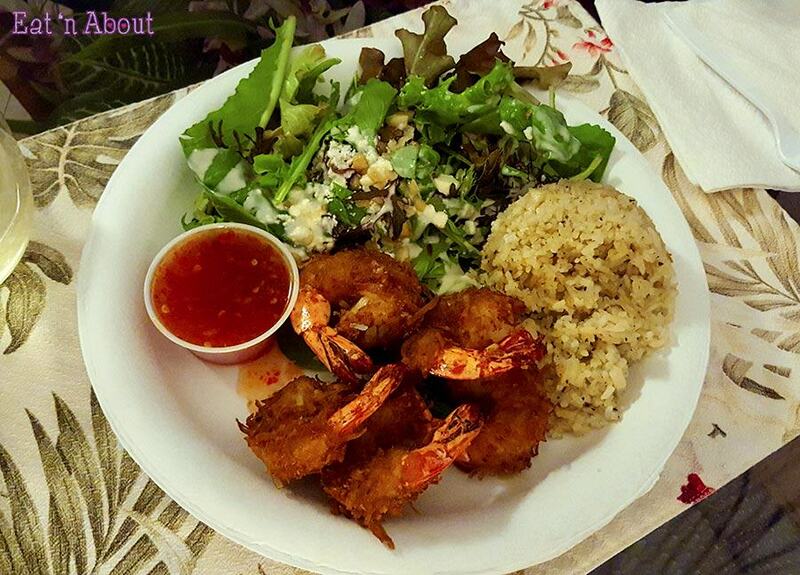 The use fresh ingredients, local, organic mixed salad greens. Well worth what you pay for. Hi Julie! Thanks for visiting!! I agree Kinaole was awesome!! I’m salivating thinking about the calamari and mahi mahi…and the coconut shrimp!